The Italian S.I.A. 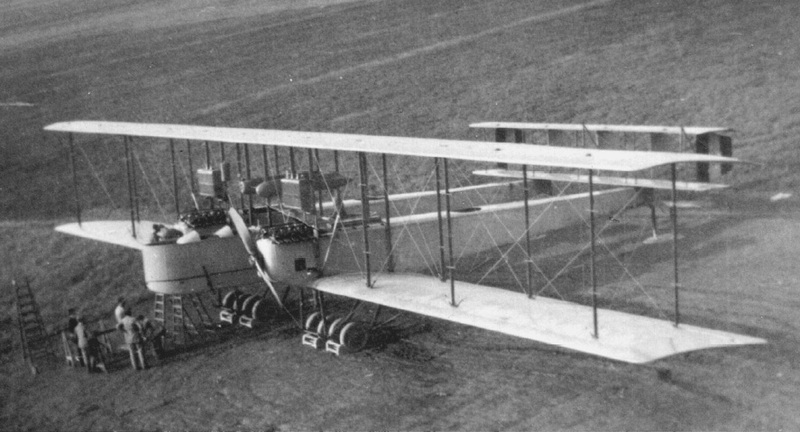 (Societa Italiana Aviazione) twin-engined biplane bomber of 1916 / 1917, powered by two heavy Fiat engines of 600 / 700 hp. It had a twin fuselage. This really obscure machine was also known under de designations S.I.A. 1200 and SIA 14B.